Pakistan is the only major producer of best Kinnow fruit in the world. Pakistani kinnow is large and orange in globular shape, a mandarin, renowned for its high juice and citric acid content and a high sugar-acid ratio, which contain lots of healthy nutrients. This easy peel citrus has special importance and export demand due to its high juice content, special flavour, and as a rich source of vitamin C.
The soil and climatic conditions in Pakistan have given the Kinnow fruit a unique flavour which distinguishes it from other comparable mandarins grown in the world. Pakistani Kinnow is one of the best varieties of fresh mandarins. 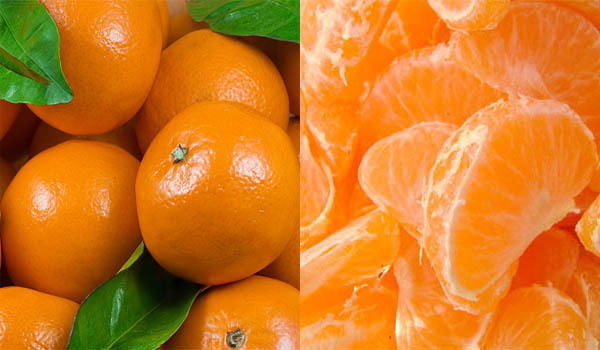 Primarily Kinnow is in close relation with tangerine, similar in taste. Winter in the plains of Punjab province of Pakistan provides an excellent atmosphere for this fruit and the resulting fruit is sweet and has a very distinct taste. At this point District Sargodha is the main citrus producing district, with about 23 per cent of Pakistan’s total citrus plantings, producing around 650,000 metric tons of fruit each year. Toba Tek Singh and Sahiwal districts rank second. Pakistani Kinnow has a smooth dark orange skin. Its high juice content makes it perfect for fresh juicing in the catering, food service and retail sector and for home use. Fresh squeeze Pakistani Kinnow juice is already widely used in Middle East and South East Asian countries. The major factors which have contributed to the success of this Pakistani fruit are its beautiful golden-orange colour, its abundant juice, and its excellent aroma and taste. Its trees are highly productive. It is not uncommon to find 1000 fruits per tree. Handsome returns, much higher than those obtained from most of other fruit crops, can be had from well looked-after kinnow orchards by adopting proper methods of cultivation. Most of the target export markets of the Pakistani kinnow are those of developing countries. Some important export markets for Pakistani kinnow are: Bahrain, Dubai, Kuwait, Oman, Qatar, Saudi Arabia, Indonesia, Malaysia, Afghanistan, Netherlands, Philippines, Singapore, the United Kingdom and Vietnam. Indonesia has also offered market access to kinnow, from Pakistan at zero per cent. Kinnow harvesting starts when the fruit's external colour becomes orange, from December to February. The best harvesting time is mid-January to mid-February, when the fruit attains a TSS/acid ratio of 12:1 to 14:1. The fruit quality declines in later pickings. Coating kinnow fruits with commercial waxes can increase the shelf life up to 60 days. The fruit can be stored in cold storage at a temperature of 4-5°C and a relative humidity of 85-90%. Food processing includes the selection of good-quality mandarins. The ideal kinnow is firm to slightly soft, smooth-skinned with no deep grooves, and deep orange to almost red. Human hands can better judge and avoid product with soft spots, dull and faded colouring or rough and bumpy skin. Agricultural University in Faisalabad has developed new technologies for obtaining higher yields of better quality fruits under the conditions of Punjab province of Pakistan. These fruits can be stored at room temperature conditions or under cold storage conditions. The Pakistani Kinnow season starts in December and fruits are available until the end of March. Kinnows are available during Chinese New Year in Asia and throughout the winter in Europe. Pakistani Kinnow for export markets are produced in GlobalGAP certified orchards and post-harvest handling is conducted in modern HACCP certified pack houses. Depending on the market segment and customer requirements some pack houses are also BRC, ISO or otherwise certified. As compared to the processing of other fresh fruits processing of Kinnows appears to be very well developed. There are around 250 kinnow processing enterprises in Sargodha. 140 are listed with PHDEC. 37 processing enterprises have some sort of certifications including Global GAP, HACCP and BRC and to enhance exports the processors and exporters are improving their processing plants to get more certifications particularly BRC to enter in EU market. According to an estimate approximately 95% of the total Kinnow produced all over the world is grown in Pakistan.